Ms. Margaret Dolan Callaghan (age 96) passed away peacefully at her home on Sunday, July 10, 2016 after a lengthy illness. 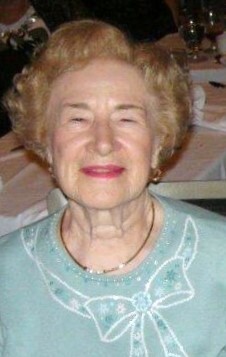 She was the beloved wife of the late John W. (Jack) Callaghan. Our beloved Margaret was a member of St. Mark the Evangelist Ladies of Charity for over forty years. She served as President of the Board of Directors for the Archdiocese of Washington Ladies of Charity (ADWLOC) from 1984-1986. However, she notably served as Treasurer of the ADWLOC Board of Directors for twenty-five years from 1986-2011. Margaret was a true Lady of Charity always generous with her time, talent and treasure. She was a dedicated volunteer, world traveler, music lover and always ready with a laugh and smart delightful conversation. Margaret was well known throughout the Vincentian family and attended a large majority of LCUSA National Assemblies prior to her failing health. Although Margaret never had children, her memory will be cherished by numerous great-nieces and great-nephews and loyal friends. The entire Vincentian Family local, national and international have loss a true servant for the Lord. May her soul rest in eternal peace.